Minecraft Specific Discussion that is totaly unrelated to YAMS, such as the latest Minecraft News or a discovery you've made in the game. The 2.0 has been released!!!!!!!!!!!!!! 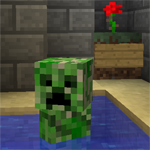 Why can't I make worlds on minecraft version 1.7-1.8? Where would YOU like Minecon 2014?